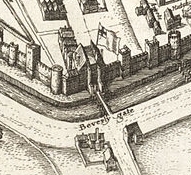 King Henry VIII’s “Hull Castle” was built c.1541 as an artillery castle. The central castle structure is attached to two trefoil-shaped blockhouses with curtain walls that span alongside the east bank of the River Hull. 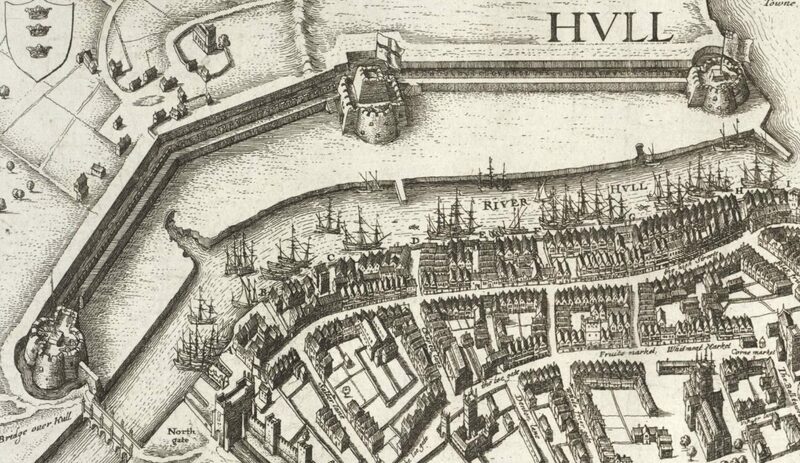 The most southern blockhouse, situated where the River Hull and Humber meet, was later incorporated into what became known as The Citadel in c.1680. What remained of Hull Castle was demolished in 1863. I first mentioned this project back in an April- Hollar’s Hull in 3D: Part I– and have modelled some extra scenery features since then. This project was inspired by Wenceslaus Hollar’s map of Kingston upon Hull dating from c.1642. 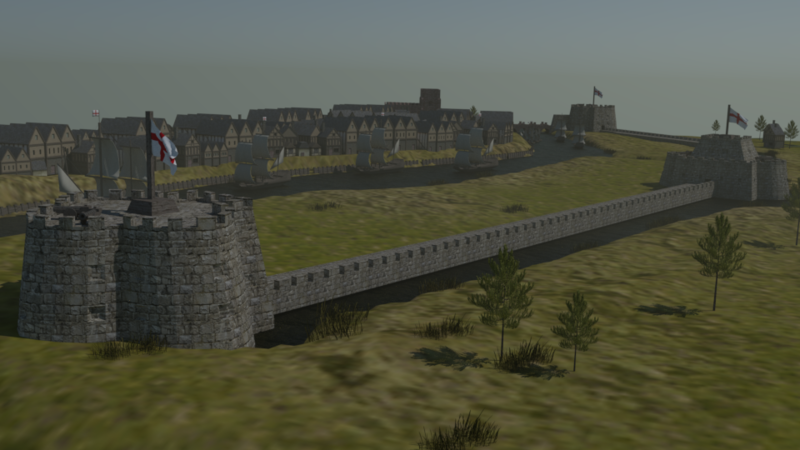 To recreate the entire map would be a mammoth task, so I’ve focused on the top section featuring King Henry VIII’s “Hull Castle”.